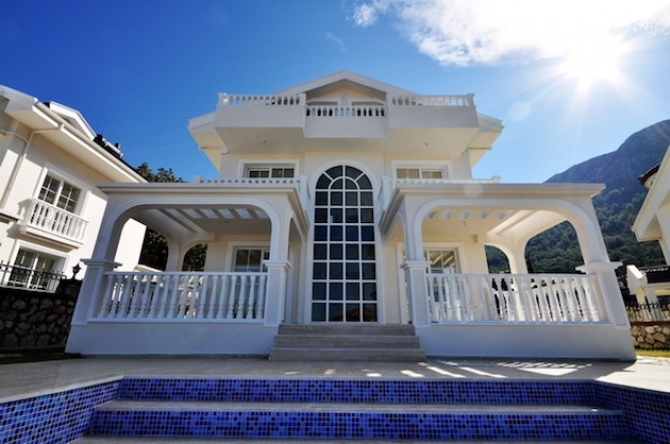 This stunning custom built villa which has newly completed is located in a peaceful area of Ovacik in Fethiye, situated within its own private landscaped garden with swimming pool. It is just a short drive away from the famous Blue Lagoon at Oludeniz and Fethiye Harbor. 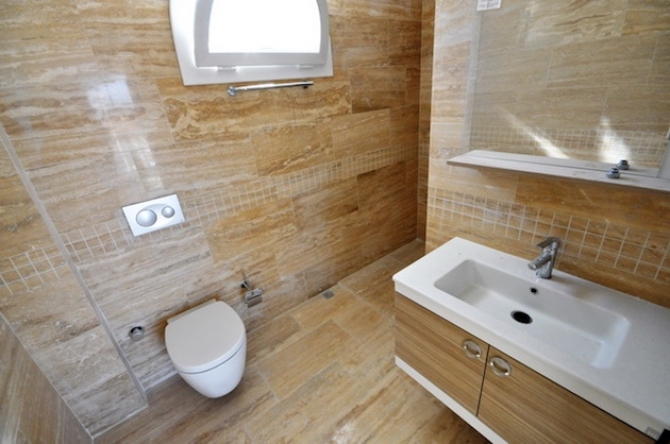 From entering the property you feel the exceptional quality of this property. The entrance of the property leads you into a hallway with a cloakroom and storage room. The fully fitted kitchen has been well design ensuring that there is plentiful granite worktop surface and cupboard space with a separate terrace to the back. From the kitchen leads you into the lounge which has a long floor to ceiling portrait window allowing the lounge area have a bright and spacious fee. The kitchen flows to the dining area into the lounge; and from here you have a number of large patio sliding doors giving an airy and spacious feel and also direct access to the sun terrace. 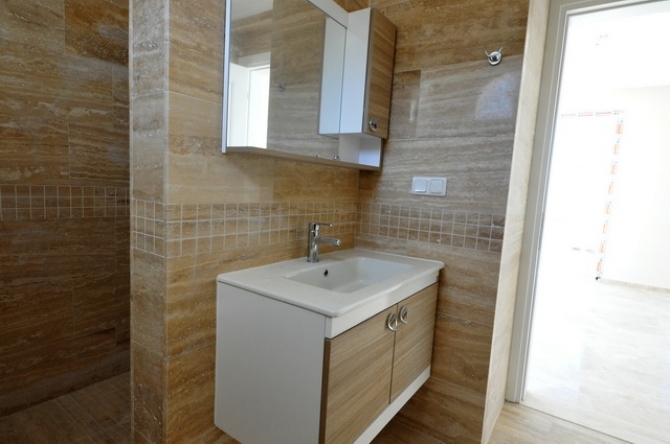 Every one of the four master bedrooms has its own private luxury bathroom that have been completed using high quality ceramic tiles and fixtures and fittings, all have walk in showers are fitted with overhead shower units. The bedrooms have space for built in wardrobes and are all generous in size. Every bedroom has access to large shaded balcony overlooking the garden and swimming pool and with stunning views. 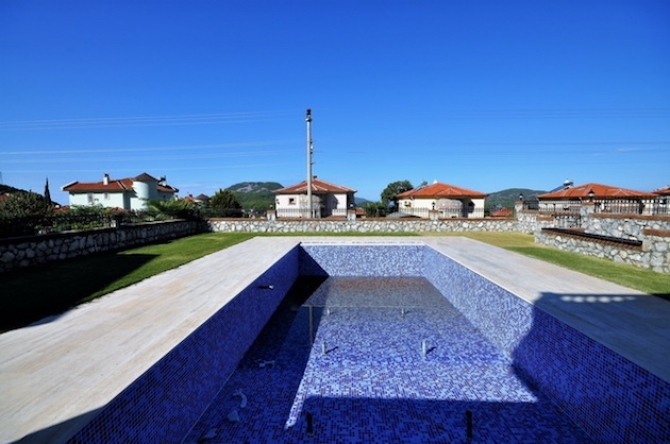 From the private sun terrace you can enjoy the breathtaking mountain surround; the swimming pool which is larger than the normal swimming pools in the area has been finished in mosaic tiles, and will have roman steps full width of the pool, with a shallow and deep end. The garden areas will be landscaped, with lush green grassed areas. The villa will have a private garage. Property luxurious features are; underfloor heating infrastructure, secure garage and four en suite bedrooms. 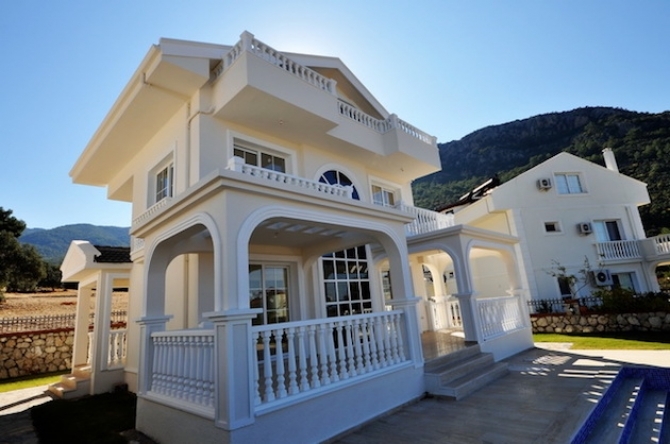 Overlooking the surrounding mountains and nature, the villa is located in the sought after area of Ovacik in Fethiye and is just a short drive away from local amenities and facilities including top quality shops, supermarkets, restaurants, busy bars, and lots more. The world famous Blue Lagoon at Oludeniz Beach is easily accessible and is one of the most photographed beaches in all of Europe, while Fethiye Harbour and town is within driving distance and provides superb facilities.